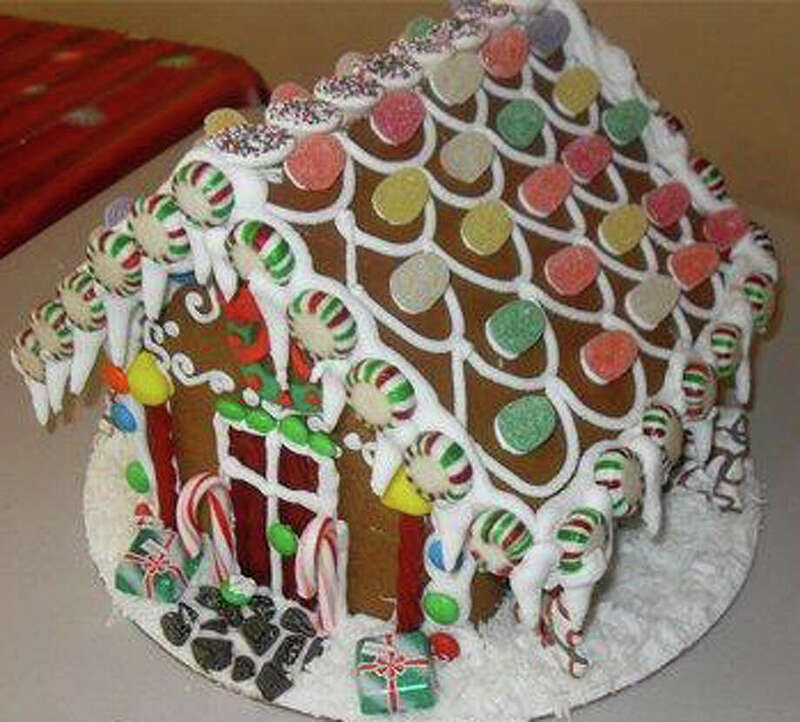 Sweet Cakes in Fairfield offers gingerbread house decorating classes. Christmas brings with it a plethora of questions. Real tree or artificial? Colored lights or all white? Turkey or ham? But there's one question that no one hesitates about: Do you actually eat a gingerbread house? The answer appears to be a resounding, "No way." I was surprised when I started asking around. I really thought the decision would be split. However, everyone I asked was firm in their opinion that gingerbread houses are to be gazed upon, not eaten. "I don't know of anybody who's ever eaten one," said John Barricelli, of the SoNo Baking Company & Cafe. Nanci Lewis, of Sweet Rexie's in Fairfield, was slightly more optimistic. "Kids might pick off a corner," she said. How is it that something composed of three categories of deliciousness -- cookie, frosting and candy -- can go unappreciated for its culinary value? Certainly, there's the fact the house has been manhandled (often by little hands that might not be the cleanest), and it usually sits out without much thought about healthful storage for days, if not weeks. Or maybe it's just tradition. Gingerbread houses have been around for hundreds of years, depending upon which source you consult, but we know they were big in Germany and Scandinavia. Maybe we just like to have them around as a reminder of less-commercial holidays of yore. In any case, today we're fortunate that we have access to a full range of gingerbread house-making experiences. You can go as simple as tacking graham crackers and peppermints to the side of a milk carton, constructing a slightly more elaborate (though still relatively easy) kit, or buying a fully assembled house from a bakery. For those patient souls who want to make their own, there are several classes offered in the region. At Sweet Cakes in Fairfield, owner Suzette Deso makes batches of gingerbread using real butter and spices. Then the icing is whipped up, which she makes on the thicker side to make sure its sturdy enough to hold up the walls. "The trick is to assemble it a day in advance," she said. That way the structure has time to set and will hold up the layers of candy and frosting that are soon to come. Deso offers classes at her bakery, and she also makes houses for gingerbread workshops at Sweet Rexie's in Fairfield. "We provide each person with an assembled house and a sleeve of frosting," Sweet Rexie's owner Lewis said. Here, of course, the focus is on the candy decorations. Some of the most popular sweets include holiday spice gumdrops, reindeer corn (think candy corn, but in red, white and green), jelly wreaths, starlight mints, Mike & Ike's, and white cotton candy for snow. "We've even had people do Hanukkah houses," Lewis said. "They make them in blue and white, with snowflakes and candy canes." Several local bakeries were invited to take part in a gingerbread exhibition at the Stamford Museum and Nature Center this year. This is the big time, with the term "house" being loosely translated. Here you'll see gingerbread versions of Radio City Music Hall, the Tower Bridge and Santa's Workshop. The bakers at Izzi B's bakery in Norwalk were excited by the idea of entering, even though they faced a particularly daunting challenge. Their bakery is a dedicated allergen-free facility, which means no egg, no dairy, no refined sugars, no wheat and no nuts or honey. "We were thrilled and excited and scared," said Kristen Gilligan, the bakery's director of operations. "It's not easy to do such a thing. We did a lot of research on decorations and small independent businesses that produce and manufacture allergen-free candy." It took the Izzi B's crew many, many tries in the kitchen to come up with a tasty, fragrant gingerbread recipe, but in the end they came up with recipes for gingerbread cookies, cupcakes and houses. "The trick was finding the right combination of ingredients that will make it taste right and still have the proper consistency," Gilligan said. Now, the bakery is making gingerbread kits that can be assembled at home. If, however, you're looking for the full-on holiday experience and want to craft your own mini-mansion at home, SoNo Baking's Barricelli has some advice. While he no longer makes gingerbread houses for sale at the bakery (they take up too much room), he does make a batch every year to donate to various charities. "It's very, very important to measure," he said. "The hardest thing is getting the angles straight. You need to build a template for the sides and top. It's very time-consuming. It's like being an architect." Gingerbread house classes: Sunday, Dec. 11, 1 to 2 p.m. at Fairfield University Bookstore, 1499 Post Road, Fairfield; Monday, Dec. 12, 4:30 to 5:30 p.m. at Sweet Rexie's; Monday, Dec. 19, 4:30 to 5:30 p.m. at Sweet Rexie's. 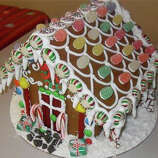 Gingerbread house classes: Sunday, Dec. 11, 2 to 4 p.m.; and Sunday, Dec. 18, 2 to 4 p.m. Pre-paid reservations required. Call and reserve a spot or to place an order for a pre-assembled kit. Space is limited. Cost per person is $25. Izzi B's wholesale bakery is in Norwalk, but its allergen-free products, including gingerbread, are available at The Pantry in Fairfield, Rowayton Market in Norwalk and Organic Market in Westport, as well as other place throughout Fairfield County. For more information check the website, www.ibcakes.com, or call 203-810-4378. "Visions of Gingerbread III: The Sweetest Architects," on display through Jan. 2. 101 Water St., Norwalk, 203-847-7666; or 1680 Post Road East, Westport, at A&J's Farm Market, 203-955-1111.